Ai 50L large-neck, heavy wall, high quality round evaporation flask for SolventVap SE130 50L rotary evaporators. 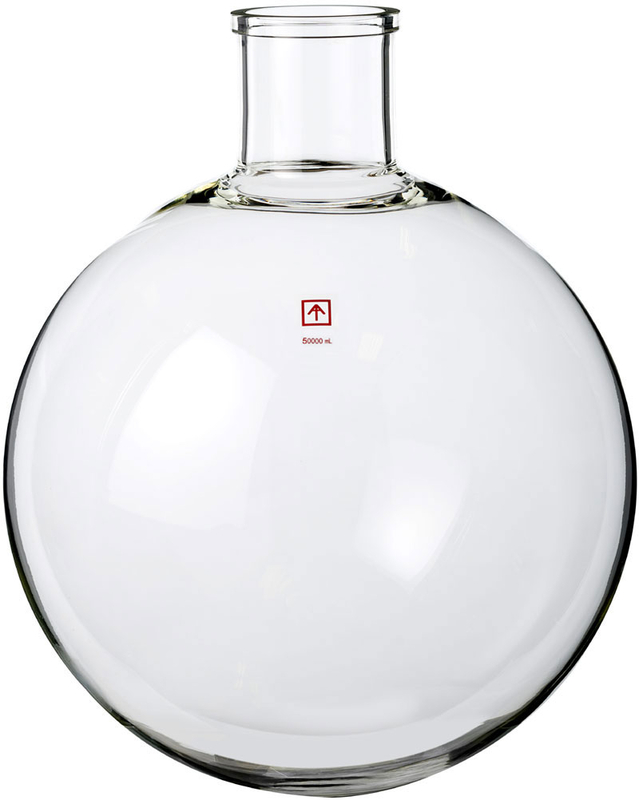 Large-neck design allowing you to reach inside the flask for easy cleaning. Outer diameter: 17.5 inches, mouth OD: 5 inches, mouth ID 4 inches, glass material: high borosilicate glass 3.3.